Negative: Light becomes subtractive instead of additive. It's sometimes useful to manually compensate some dark corners. This is the most common type of light and represents a light source very far away (such as the sun). 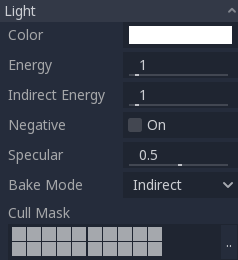 It is also the cheapest light to compute and should be used whenever possible (although it's not the cheapest shadow-map to compute, but more on that later). Every face whose front-side is hit by the light rays is lit, while the others stay dark. Most light types have specific parameters, but directional lights are pretty simple in nature, so they don't. 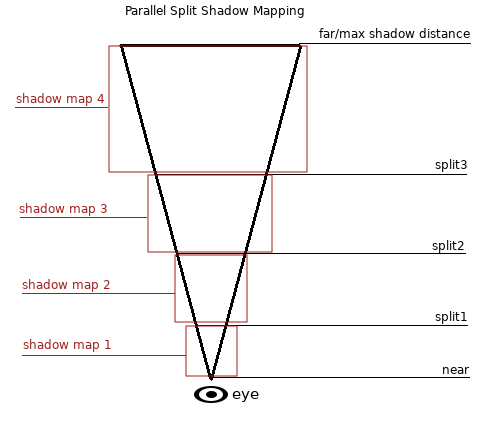 To fix this, a technique named "Parallel Split Shadow Maps" (or PSSM) is used. 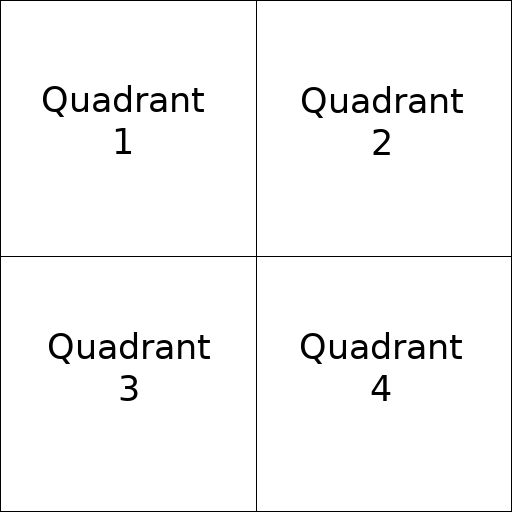 This splits the view frustum in 2 or 4 areas. Each area gets its own shadow map. 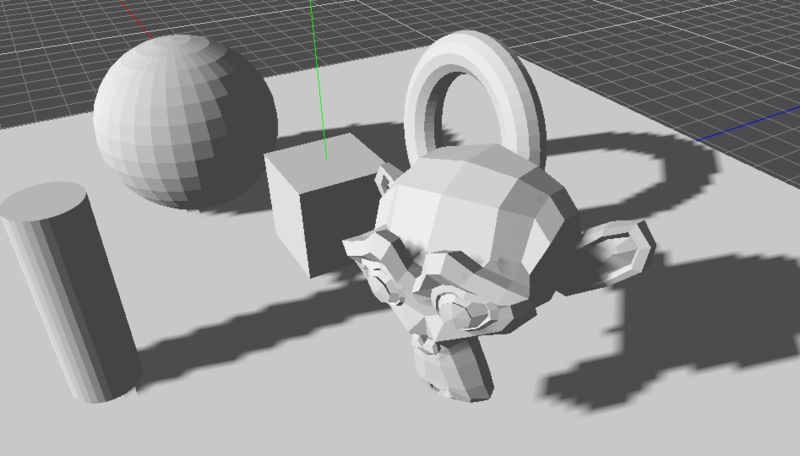 This allows small areas close to the viewer to have the same shadow resolution as a huge, far-away area. 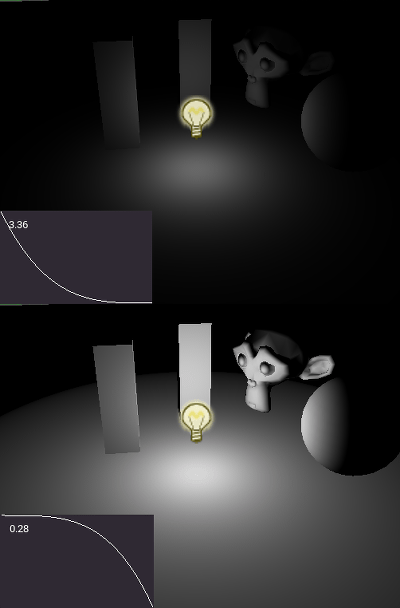 The "Normal Bias" parameter can be used to fix special cases of self shadowing when objects are perpendicular to the light. The only downside is that it makes the shadow a bit thinner. 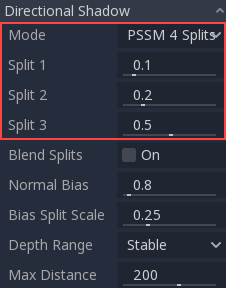 The "Bias Split Scale" parameter can control extra bias for the splits that are far away. 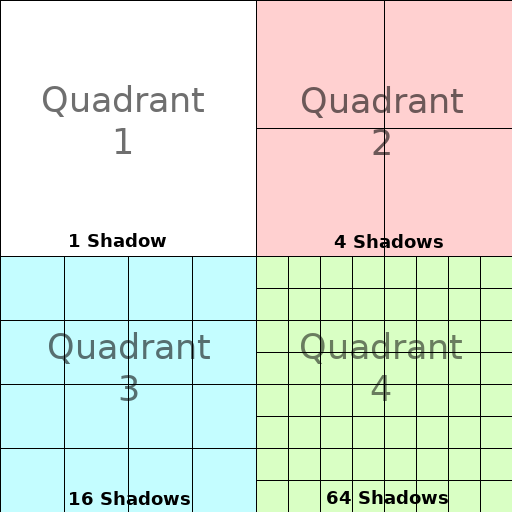 If self shadowing occurs only on the splits far away, this value can fix them. Optimized: Tries to achieve the maximum resolution available at any given time. This may result in a "moving saw" effect on shadow edges, but at the same time the shadow looks more detailed (so this effect may be subtle enough to be forgiven). In real life, light attenuation is an inverse function, which means omni lights don't have a radius. This is a problem because it means computing several omni lights would become demanding. 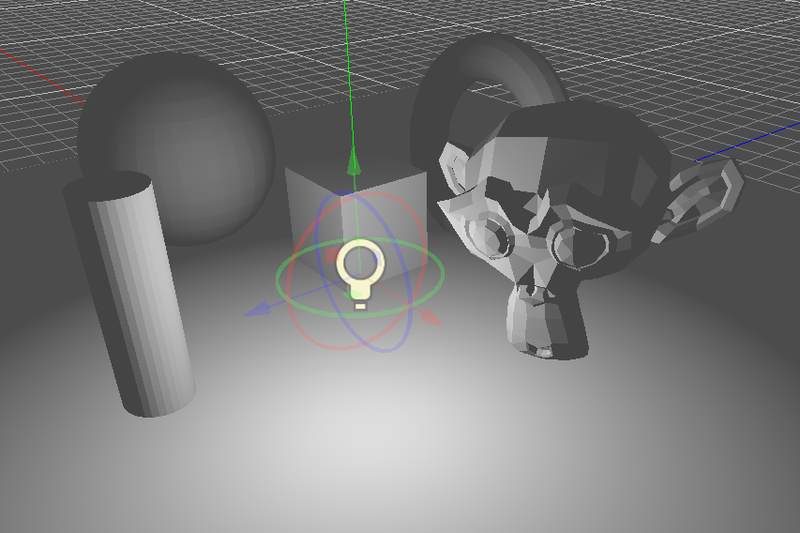 Omni Shadows can be rendered as either "Dual Paraboloid" or "Cube Mapped". 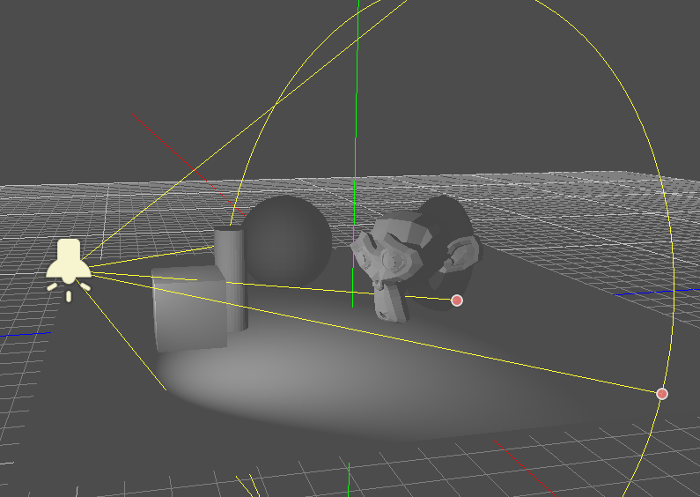 The former renders quickly, but can cause deformations, while the later is more correct, but costlier. Spot lights are similar to omni lights, except they emit light only into a cone (or "cutoff"). They are useful to simulate flashlights, car lights, reflectors, spots, etc. This type of light is also attenuated towards the opposite direction it points to. 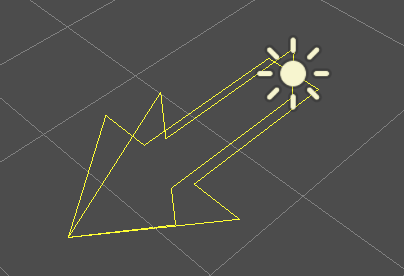 Spots don't need any parameters for shadow mapping. Keep in mind that, at more than 89 degrees of aperture, shadows stop functioning for spots, and you should consider using an Omni light instead.